Hampta Pass Trek in Himanchal Pradesh is the most adored and one of the most popular trekking trail of Himanchal Himalaya. The magnificent view of the glacial valleys, open green pastures and scenic landscapes sitting amidst attracts trekkers to Hampta pass trek with chandratal lake. Apart from the panoramic view of the snow-clad mountains, there are also an adventure sports to do in Himanchal. Hampta Pass Trek starts and ends at Manali. Then drive from Manali to Chika, the trekking trail starts from Chika. The total trekking distance of Hampta pass trek is 26 kms. One of the best summer trek in Indian Himalaya. The campsites of Hampta pass trek is most famous for its mesmerizing sight of the valleys like Spiti, Lahul and also the snow-capped mountain ranges of Pir panjal and Spiti. Lying at an altitude of 14,100 ft from above sea level in Himanchal Pradesh. Interestingly, trekkers can also visit Chandratal lake at the same time of hampta pass trekking. This is one of the great thing to do in hampta pass trekking. The wonderful view of the natural beauty sitting amidst magical clouds attracts many tourists every year from all over the globe. Manali is exotic hill station, where you can enjoy the natural beauty with the surrounding mountains. Manali is the gateway for Hampta pass chandratal trek, Bhrigu lake trek, Mt kanamo trek, friendship peak trek, Deo tibba trek, Sar pass trek and Beas kund trek. Another notable thing of the most popular hill station is the adventure sports, one can get a chance to experience. This vista point of the Honeymoon capital “Manali” is the natural beauty where you can experience the magical beauty of the hill station. Manali, situated at height of 6398 ft, lies in between the Pir panjal and Dhaulandhar ranges in Himanchal Pradesh. One of the must visit campsites of the Hampta pass trek with chandratal lake. The trekking trail starts from Chika to Balu ka ghera. Chika campsite is beautiful, where one can witness the confluence of two streams from the waterfall. One of the most amazing sight of the Chika is its unmatched natural beauty. 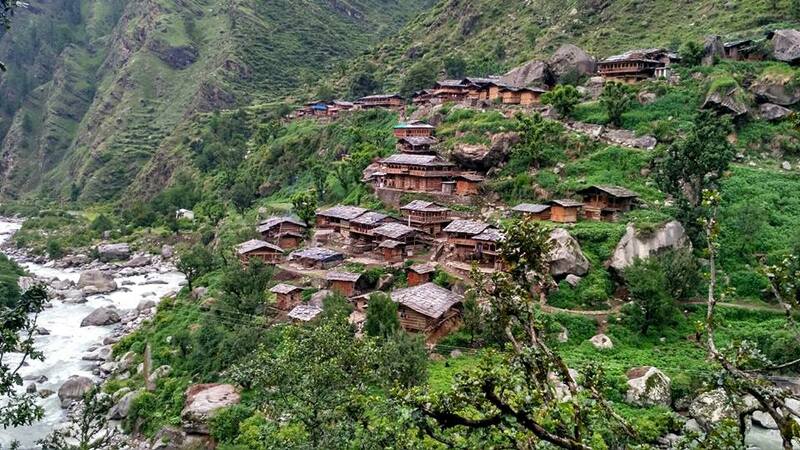 As several other charming attractions in Chika campsite, you can enjoy the refreshing rivers, rich vegetation and panoramic view of the trekking trail. Chika campsite, at an altitude of 10,100 ft above sea level. As you climb up, you see the glorious view of the snow peaks and the flora-fauna around. Balu ka ghera campsite is most popular, offering you an entire range of Dhauladhar snowy peaks. The view from the Balu ka ghera campsite is very picturesque. It is a flat ground surrounded by the majestic mountains. Balu ka ghera is stands at height of 11,900 ft, where you pitch the tent and enjoy the view of the surrounding beauty. Trekking in himanchal is one of the great thing to do. 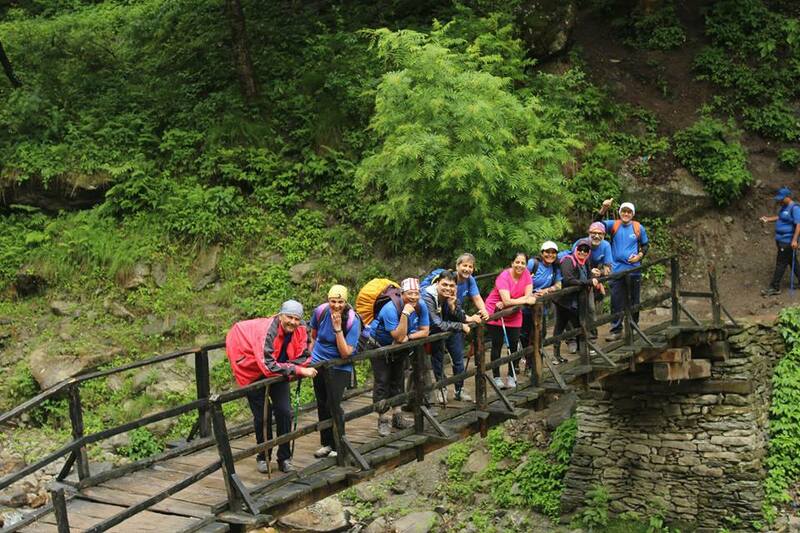 Trekkers are treated to a spectacular view of the surroundings and peaceful aura around. The Hampta pass trekking trail is along the side of the river valley and is an easy one for first timers. Hampta Pass trek in Himanchal Pradesh, the summit point of the high altitude trek. One of the best summer trek in Himanchal Himalaya, this place is covered by the snow in summers. If you want to experience the snow trekking in Himanchal, Hampta pass chandratal trekking summit is perfect for you. While trekking to Hampta pass, trail delighted with the thick pine forests, meadows, lovely landscapes and the high mountain ranges adds the magical charm. 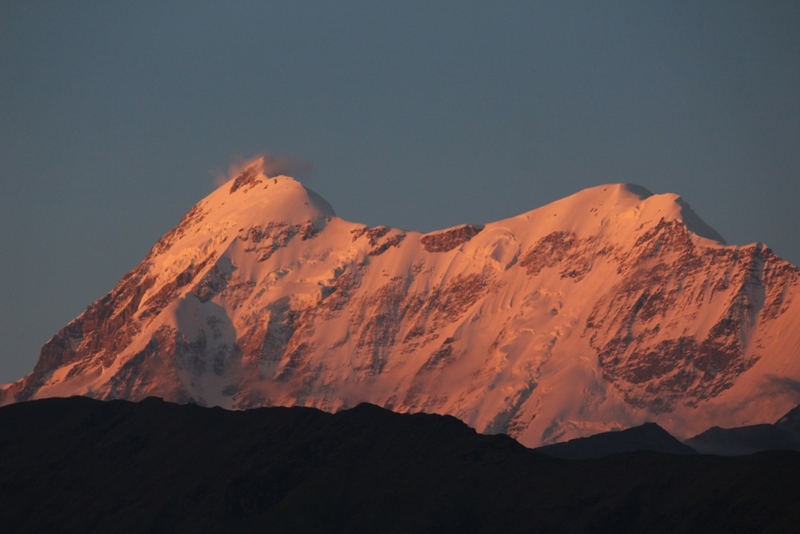 Apart from the scenic beauty, trekkers can get to see the 360-degree view of the mountain peaks like Mt. Indarsaan, Deo tibba and also the glaciers. The Chatru campsite is blessed with colourful valley and the lovely landscape gives a remarkable experience of camping. Chatru is a most famous campsite for the breathtaking view of the three passes; Rohtang Pass, Hampta Pass and Spiti. The last campsite of the Hampta pass tek in Himanchal Pradesh, a unique trekking experience in the Himalaya. Lying at an elevation of 12,900 ft above sea level. This is a must visit campsite of the hampta pass trek in Himanchal Pradesh. One of the most visited places in Himanchal Pradesh. Chandra Tal is a lake, offers the breathtaking view of the beautiful lake and situated in Spiti valley, Himanchal Pradesh. The colour of the Chandra Taal lake is keep changing as the sun’s light reflecting on the lake and it attracts thousands of trekkers all over the world. Chandratal is a source of the Chandra River and the trekking trail is pass through high mountain ranges Chandrabhag and Moulkila. Hampta pass trek with chandratal lake is a trekkers paradise and the charm of this place is too great to behold. With several spectacular beauties, this is a great holiday destination located at an altitude of 4300 meters in Lahaul and spiti district of Himanchal Pradesh.